So, the Game of Thrones S8 Premier happened last night and the whole world has become absolutely obsessed. I’m not sure I can remember a time that a TV show caused so much hype and made us all so collectively excited for a final season. 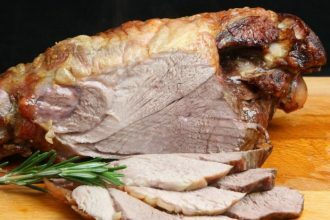 Can you? Disclaimer: Article contains gifted press samples and affiliate links. All opinions are our own and we have full creative rights over content. 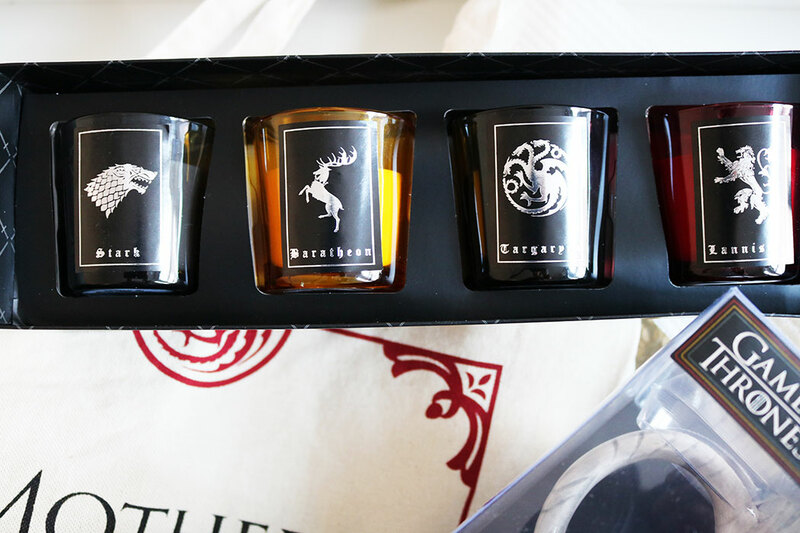 HBO Licensing & Retail has gone all out with the GoT themed releases this month and there are some amazing new products to be found. 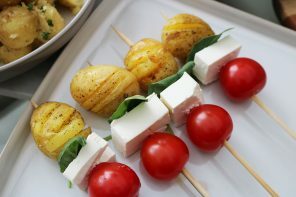 Here are some of my fave bits! 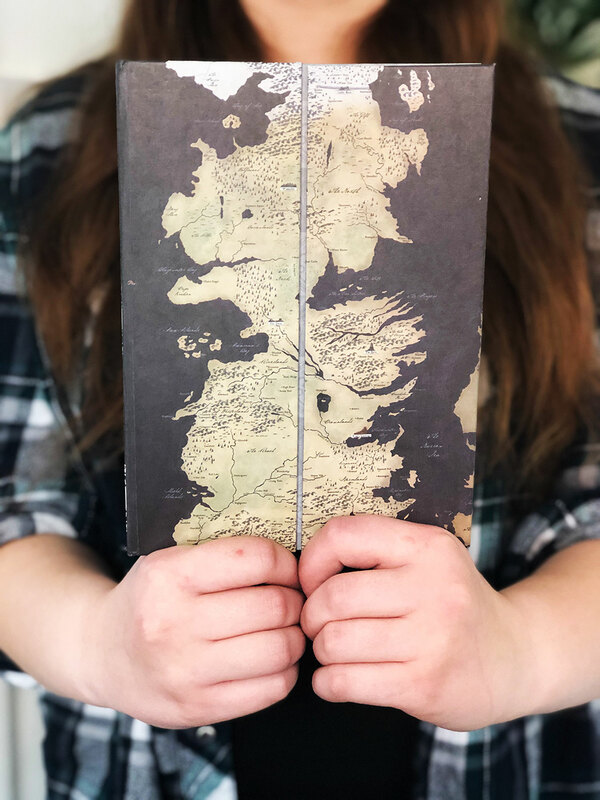 Adorne your Castle with the Primark Game of Thrones Home Collection – Primark is the place to be if you want to up your Game of Thrones merch collection and adorn your home with some amazing cult products. 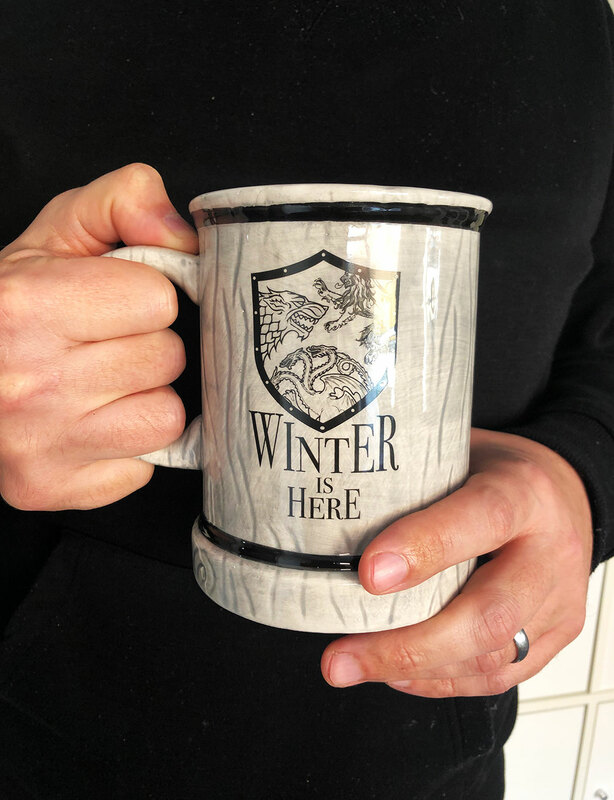 This ‘Winter is Here’ mug is probably one of the coolest things to have caught my eye. Imagine settling down to watch the first episode with this bad boy! Available from Primark. Need a notebook for work or studying? My teenage daughter has already got her sights set on this fab Game of Thrones notebook from Primark. It’s perfect for fans of the show and totally practical too. 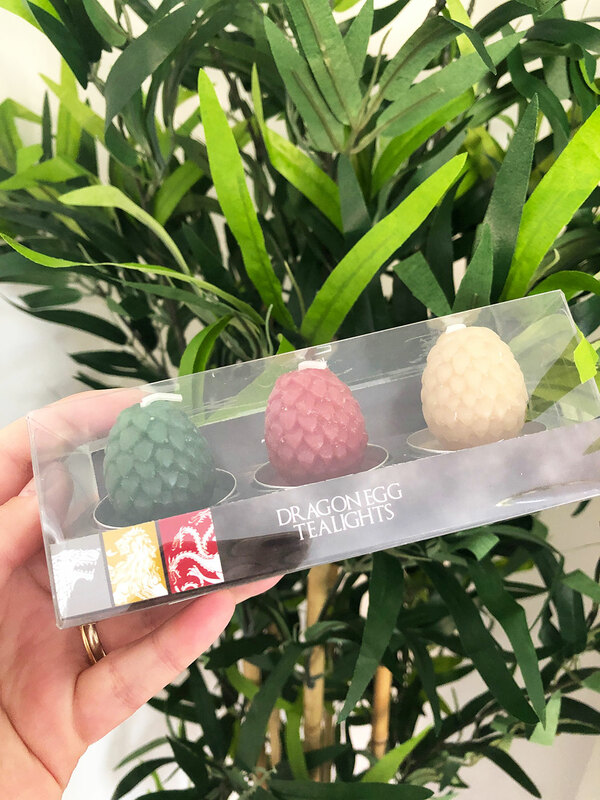 Primark also have these super sweet Dragon Egg Tealights and I’m definitely putting these on display in my office. I love the ‘Mother of Dragons’ tote bag too! If you are a makeup fanatic and a Game of Thrones fan then Urban Decay have come up with the perfect collaboration in their new collection. 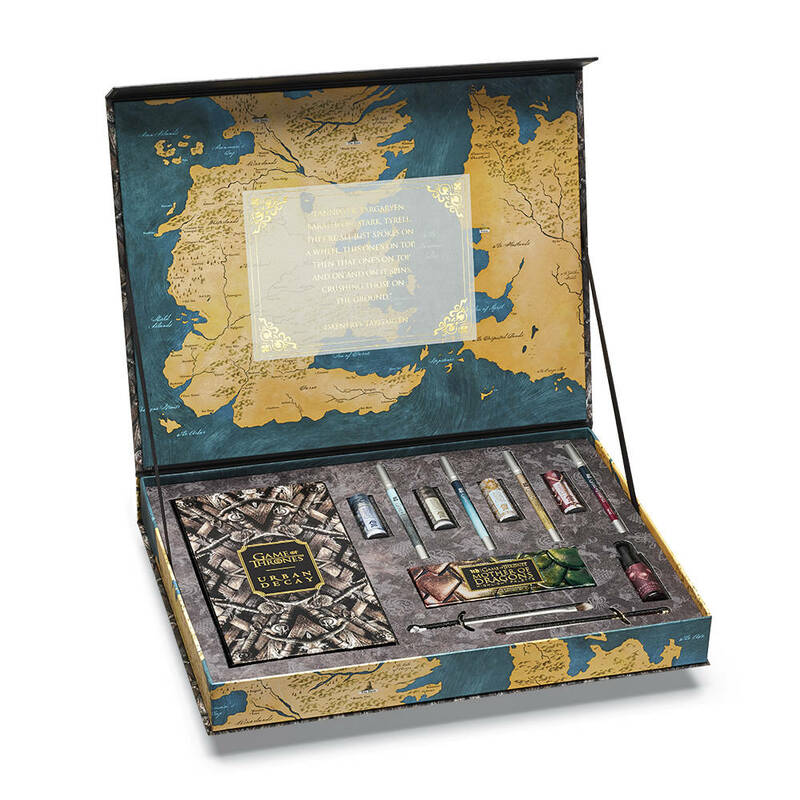 This Game of Thrones Urban Decay Vault is a makeup lovers dream! Send a raven to your friends to discuss each episode with these Royal Mail Game of Thrones stamps!